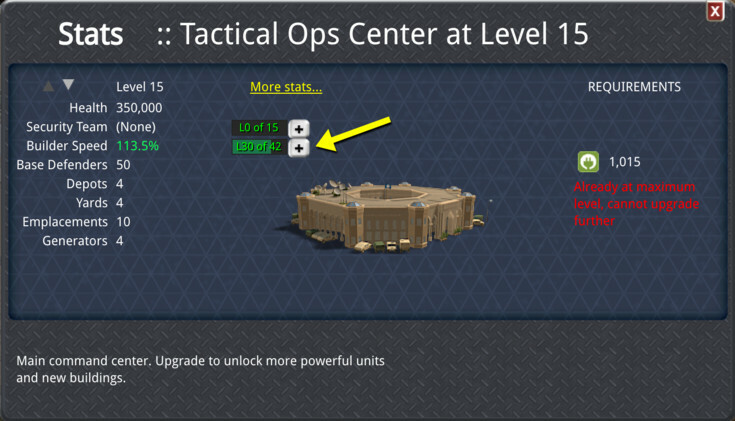 Security Team units will now avoid straying too far from their protected building when pursuing attackers. This change is intended to make it more difficult to lure security teams away from the protection of turrets and other defending units in the base. 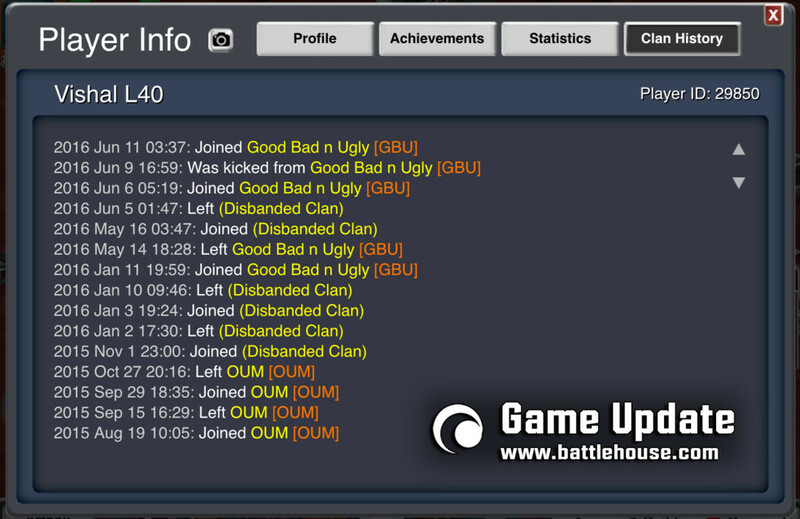 Any player’s Clan membership history can now be viewed using the new “Clan History” page on the Player Info menu. Note: If a Clan had different names/tags over time, the membership may be listed as the Clan’s present name/tag, rather than the historical name/tag the Clan had back when the event took place. This is fixed for membership events starting mid-August 2017, which will list both the historical and present name/tag. 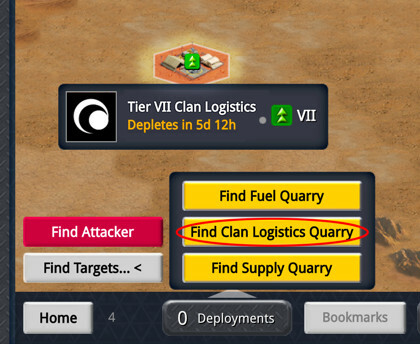 Clan Logistics quarries now provide a map movement speed boost to your Clanmates! The bonus reaches up to +50% map speed, which requires holding 1x Tier 15, 2x Tier 11, and 3x Tier 7 Clan Logistics quarries, with fully upgraded Clan Logistics Centers. This bonus multiplies with other map speed bonuses, like those from consumable boost items. 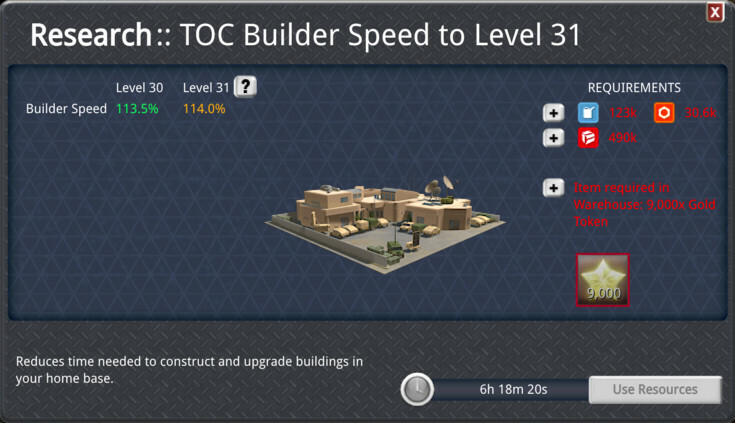 See the Clan Logistics building stats for details. Welcome to the sixth special event in Firestrike! Rogue CIA Agent Springer returns to Gundar in a one-week scramble to defeat Single-Player and Multiplayer Map bases before time runs out. Each of Springer’s special-event bases gives Prize Tokens which can be redeemed in the Store for exclusive rare items. Prize Tokens will only be available until the end of the event, July 27! In addition, all players can use Prize Tokens to unlock stronger upgradable building stats or access any previously-released blueprints. The Insider event follows the same pattern as the last few events. Enemy bases are available at four difficulty levels: Bronze (TOC L4), Silver (TOC L7), Gold (TOC L10), and Emerald (TOC L13). Players may attack any event base within +/- 3 levels of their own TOC level. Regardless of TOC level, senior Clanmates can help boost their lower-level allies by conquering and holding Clan Logistics Quarries to raise the Clan-wide Prize Token bonus. For example, by owning 2x Size XI and 3x Size VII Logistics Centers, with upgrades applied, all Clanmates will earn 10.5% more Prize Tokens for each victory. This means a base that would normally give 100 Prize Tokens now gives 111 Prize Tokens, letting your whole Clan earn event rewards in less time! During the Single-Player sequence, the 8th and final base gives many more Prize Tokens than earlier bases. You can see the exact Prize Token reward amounts for upcoming Single-Player bases on the “progress” screen after conquering each base. We’re eager to hear your feedback – please join the discussion in Clan HQ! Welcome to the fifth special event in Firestrike! Rogue scientist Anneke Harding returns to Gundar in a one-week scramble to defeat Single-Player and Multiplayer Map bases before time runs out. Each of Harding’s special-event bases gives Prize Tokens which can be redeemed in the Store for exclusive rare items. Prize Tokens will only be available until the end of the event, June 29! The Vengeance event follows the same pattern as the last few events. After yesterday’s test, Gold-based speedups of battalion movement are now enabled again. Thanks to all players who tried out the map movement changes and provided feedback during the test period! For a limited-time test, we are removing the ability to use Gold to move a battalion instantly across the Multiplayer map. This feature seems to be causing more harm than good: players use it only rarely, and when used, it has been confused with lag or bugs in the battalion movement system. We’d like to remind players that battalion movement speed boost items are still available from various sources, including the daily login reward system and the Prize Token store during special events. First, the “regrouping” delay is important to ensure fairness in map battles where players have different network connections and computer speeds. Without this delay, battles would often be decided by whose “Attack” click reaches the server with the least lag, instead of who has the stronger strategy or most powerful army. The battalion movement delay is intended to keep the game focused on strategy over click lag. Second, if there were a level restriction on battalion-vs-battalion attacks, we worry this would lead to the use of throw-away alts to block important areas of the map with unattackable low-level battalions. We do agree that there is a balance issue created by the large power difference in high- vs. low-TOC-level armies, where low-level players don’t have much of a chance in battalion fights against higher-level players. The design team is currently looking at various solutions to this, in a more subtle way than simply preventing all attacks. Welcome to the fourth special event in Firestrike! Nomadic villain Lansana returns to Gundar in a one-week scramble to defeat Single-Player and Multiplayer Map bases before time runs out. Each of Lansana’s special-event bases gives Prize Tokens which can be redeemed in the Store for exclusive rare items. Prize Tokens will only be available until the end of the event, May 4! 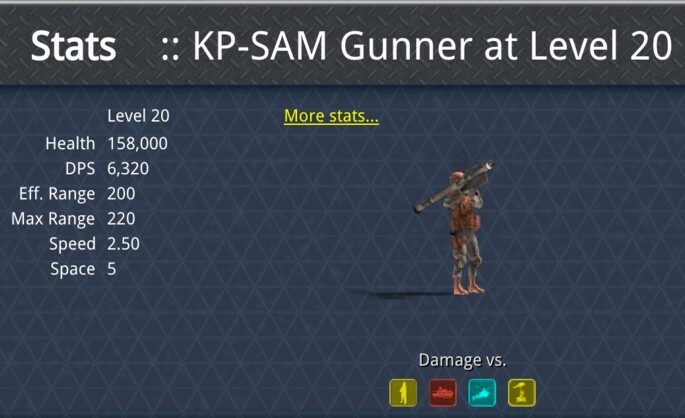 At maximum level, these stats cut the time taken for upgrades and training by almost 20%! Prize Tokens are required at about one out of three upgrade levels. Note: It may take several special event weeks to fully maximize your stat upgrades. The Rebellion event is available at four difficulty levels: Bronze (TOC L4), Silver (TOC L7), Gold (TOC L10), and Emerald (TOC L13). Players may attack any event base within +/- 3 levels of their own TOC level.